Oksana is of Counsel to Egen Gregory. She is one of Kazakhstan’s leading civil litigators. Oksana zealously represents domestic and multinational companies, and individuals in a wide range of civil disputes including corporate, commercial, real property, subsoil use, wills and estates. 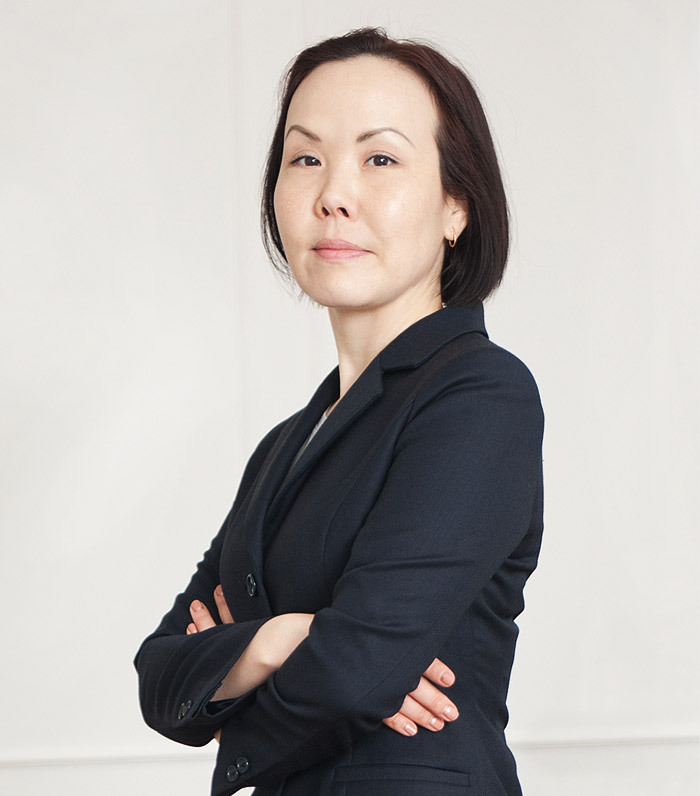 Oksana has represented clients in all instances of the Kazakhstan courts including before the Supreme Court of Kazakhstan. Oksana has extensive experience representing clients before courts and regulatory bodies in tax, customs, insolvency, real property and other regulatory disputes. She is regularly called upon to provide legal opinions on civil law and procedure, customs, tax and other issues in connection with matters being considered before local and international courts. Oksana graduated with highest honors from Adilet Higher Law School and earned a degree in thermophysics from Tomsk Polytechnic University. She is admitted to practice law in the Republic of Kazakhstan. A major foreign owned oil producer in connection with various disputes related to its sub-soil use activities including dispute with its joint venture partner, damages related to non-compliance with its work program, and the transportation and processing of oil. An international freight and logistics services to the off shore oil & gas industry in connection with various disputes with the tax authorities, issues of application of international conventions on evasion of double taxation, labor disputes, including issues related to the hiring and payment of foreign labor. A private Kazakhstan enterntainment company and non-profit foundation in connection with various disputes related to intellectual property and a corporate dispute between participants. Ongoing representation of A Kazakhstan real estate development and consturction company in connection with various disputes related to tax; land issues; contract disputes; debtor / creditor; loan agreements, guarantees and pledges; rental agreements with retailers; and bankruptcy. International healthcare provider in connection with an expert witness opinion on Kazakhstan law for proceedings in the United States. Kazakhstan medical clinic in connections with a medical malpractice suit. Passenger Transportation Association in Almaty in connection with the development of subsidy programs of passenger transportation on socially significant routes, and drafting of related transportation agreements. Participated in government commission regulating such matters.